Everything needed to cultivate an indoor garden of culinary herbs. 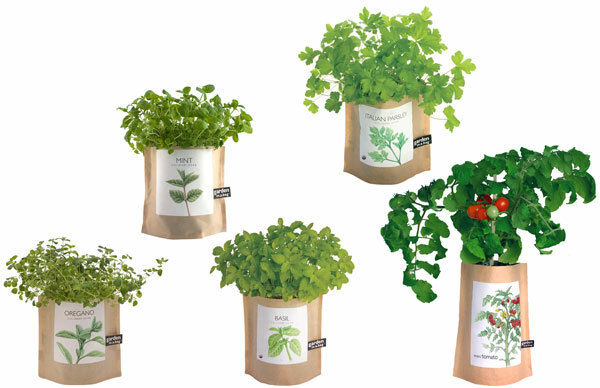 Flavor your food using fresh herbs grown in your very own indoor garden with Garden-in-a-Bag. 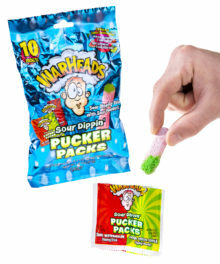 Each leak-proof bag (which doubles as your pot) contains certified organic seeds, growing medium, and coco chips for drainage. With Garden-in-a-Bag, you've got everything you need to grow mini gardens of Basil, Mint, Oregano, Italian Parsley, and even Mini Tomatoes. 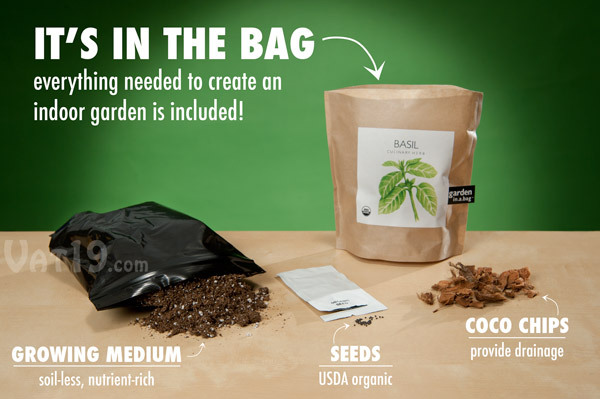 Dimensions (of herb bag): 7" x 5" x 3"
Dimensions (of Mini Tomato bag): 10" x 6" x 3"
Garden-in-a-Bag provides everything you need to grow your own basil, mint, oregano, parsley, or mini tomatoes! 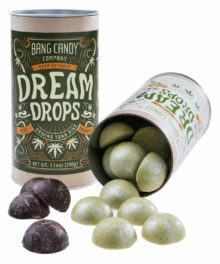 The leak-proof bag comes filled with the organic seeds, growing medium, and coco chips necessary to create a thriving windowsill garden. 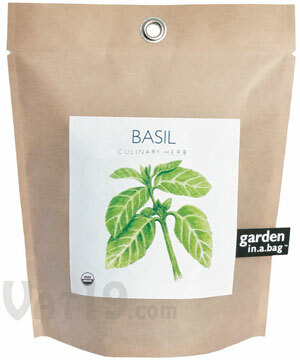 Garden-in-a-Bag includes everything you need to grow wonderful herbs or tomatoes. Add a dash of sunshine and some water, and within 7-14 days, your baby garden will sprout! 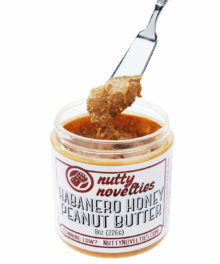 As master chefs well know, the freshest ingredients make the best meals. 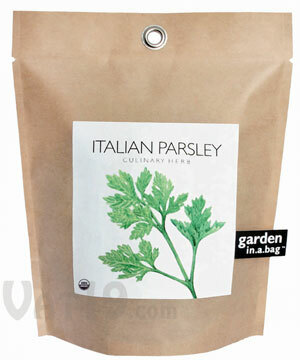 With Garden-in-a-Bag, you can quickly and easily grow your own culinary garnishes to adorn your favorite meals. To begin, simply add water to the leak-proof bag, keep it in a sunny area, and you'll have sprouts in less than two weeks! 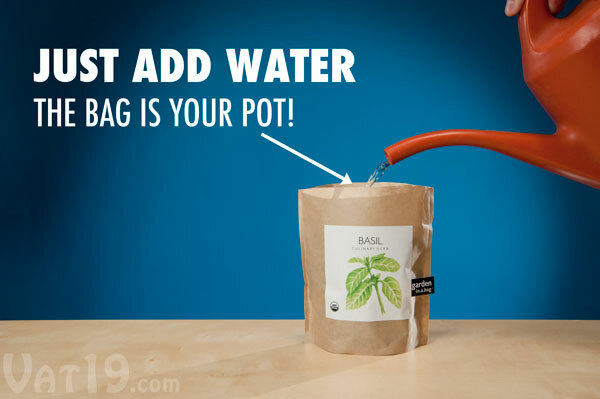 Simply add water (and a bit of sunshine) to the leak-proof bag to begin growing your own mini garden. 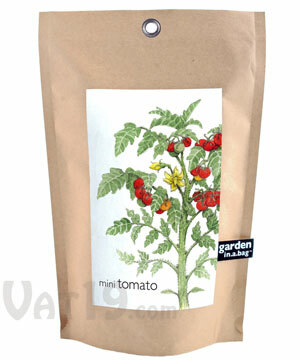 Choose from four culinary herbs and mini tomatoes! 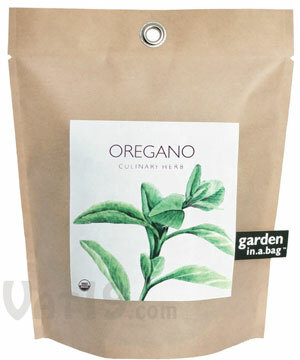 Garden-in-a-Bag is available in the following varieties: Oregano, Mint, Basil, Italian Parsley, and Mini Tomato. 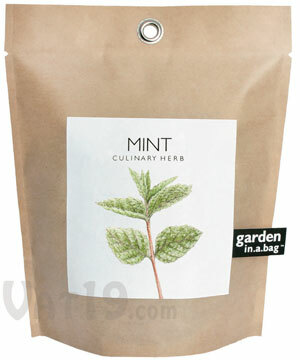 Garden-in-a-Bag is available in a variety of herbs as well as mini tomatoes. Mammoth six-foot kites are fun (and easy!) 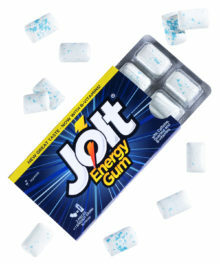 to fly.